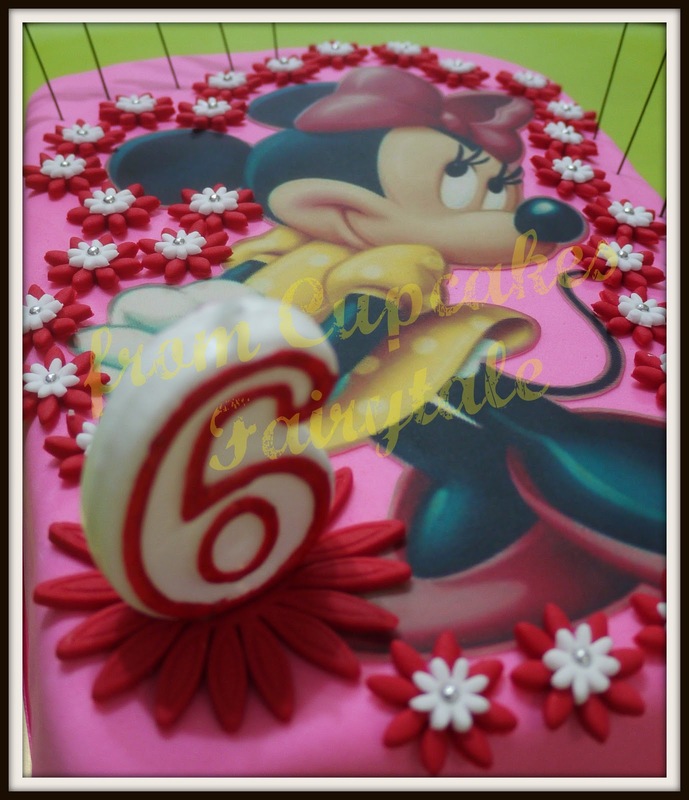 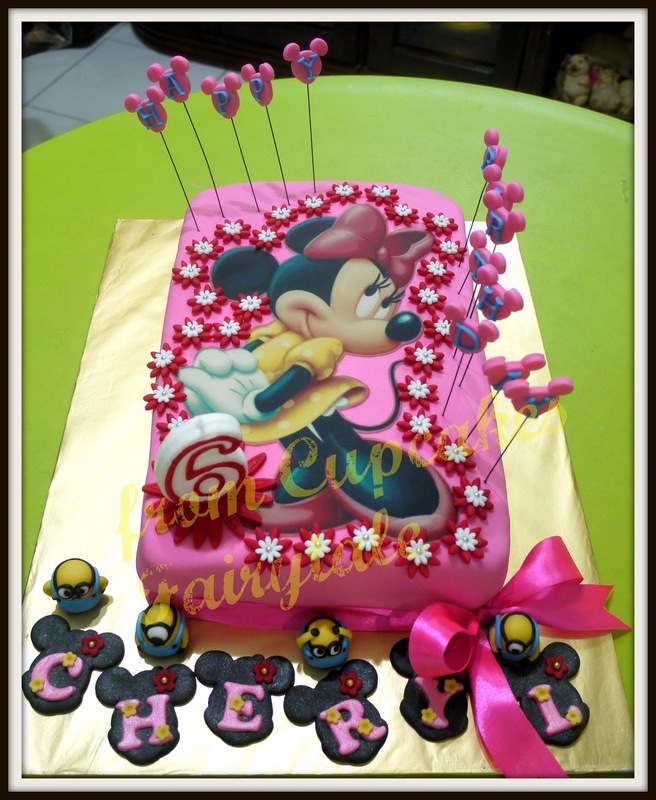 After the posting up of Felicia's Minnie Mouse birthday cake the other day, I immediately received a call from Lilian, my old time schoolmate, requesting to have this cake, exactly the same as she mentioned for her God-daugther (CHERYL)'s 6th birthday that will take place on the 26th Feb. 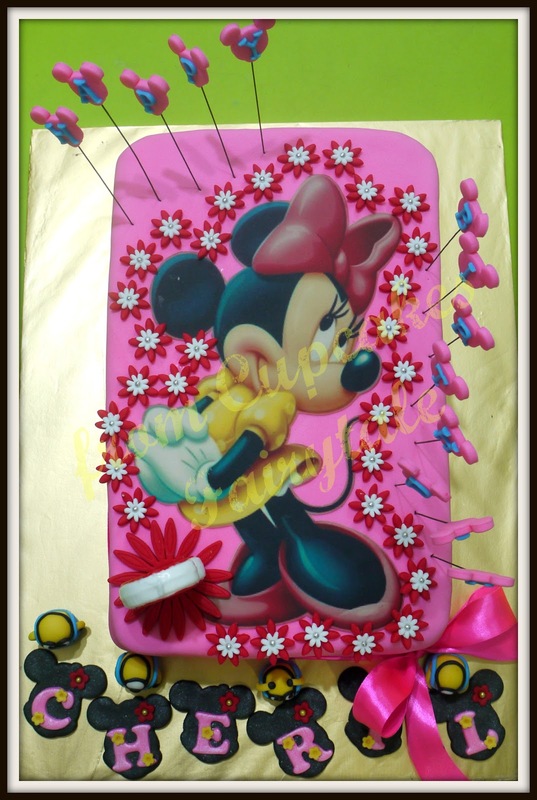 According to Lilian, Cherl likes Minnie Mouse, and like every little girl, pink is her favourite color! 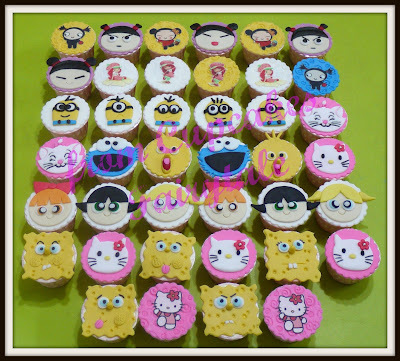 She loves all other cute and funny cartoon characters like Hello Kitty, Strawberry Shortcake, SpongeBobs, PowerPuff girls and a lot more. 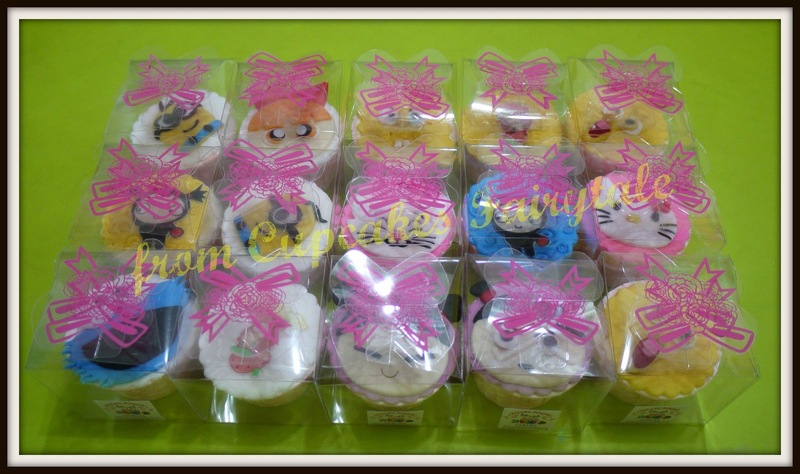 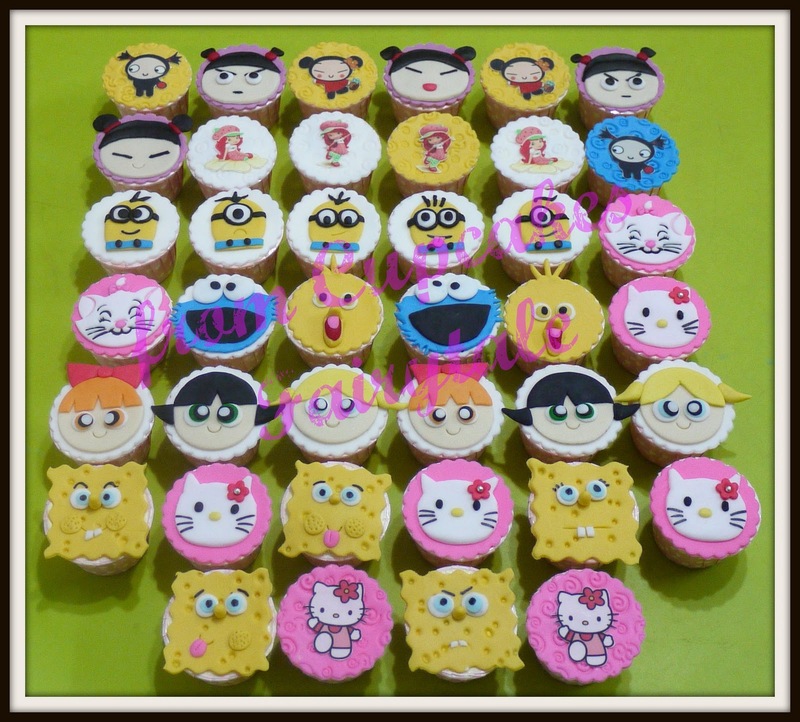 Therefore, Lilian also ordered a batch of 'Mixed Cartoon Characters' cupcakes for the guest as a gift. It's all packed up in cute transparent gift box and I'm sure the guest will be so happy to receive one of it. Happy 6th Birthday to you, Cheryl...stay sweet! !